Rev. James explained what ‘Wrong Labels’ represent in our lives and illustrated this through the lives of several people in the Bible. For example, when Cain killed Abel, he was cursed, and for fear of death, he turned to God for help. Though God was angry with him, he lifted some of the curse by placing a mark (Label) upon him. Even though Cain was originally created to be successful, the mark or the label upon him prevented him from succeeding in life. The same principle stands today. Many people have wrong marks or labels placed upon them. Even though many of these marks are not from God, they propel people’s lives against their destiny. 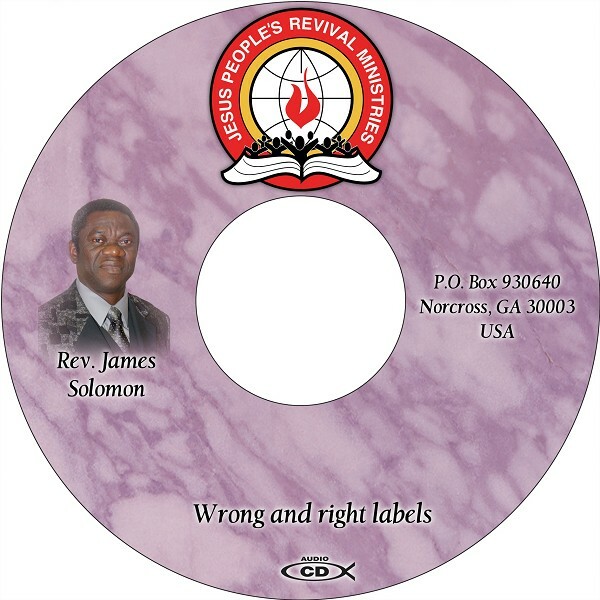 Rev James therefore proceeds in teaching how to recognize and deal with these satanic labels, that introduce us wrongly; and leads us in prayers on how to attract God's mark of blessing upon us. Delay is a stronghold that needs no small attention. For many it is a pattern to be delayed and denied important expectations. Rev James shows here that such pattern is not to be taken lightly and requires aggressive dealing. Most believers remember the story of the biblical character Esther. The queen before her was Vashti who foolishly lost her throne by challenging and defying an order from her husband and king. Queen Esther was enthroned shortly afterwards, and it was not long before God used her to deliver the entire nation of Israel which was at risk to be wiped out from the earth by the king's prime minister. According to Rev James, when God wants to bless, He rarely literally drops blessings from heaven. He always uses human vessels. In this case, queen Esther. 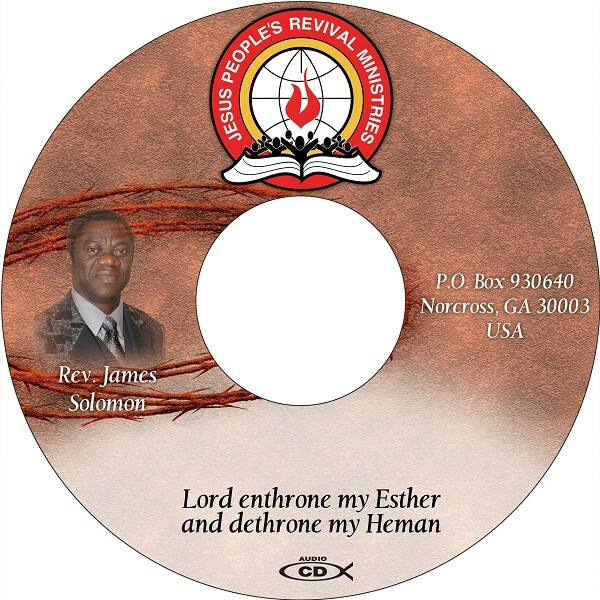 Therefore, Rev James concludes that there is need for an Esther in our lives. O that our Esther might be enthroned. Listen to this series to discover how to unlock your Esther and push out any Vashti of your life.